So your thinking about upgrading from your fish bowl, and are looking at your options for your next aquarium. 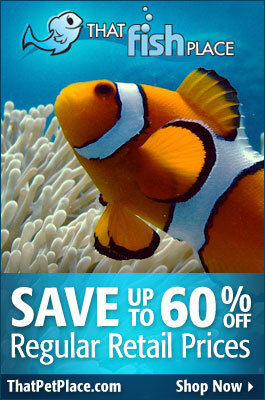 You start looking at the live plant aquariums or the saltwater reef aquariums and what the requirements are. Quickly you realize that there is a wide range of specialty lighting available, and you have no idea what you are looking at. This is a common problem faced by many aquarium hobbyist. One of the questions about specialty lighting that I am most often asked from customers in our store is what spectrum, or type, of light do I need for my aquarium. To really understand the answer to this question, you need to understand the universal rating system that is used to describe the spectral out of aquarium light bulbs; The Kelvin Scale. For those of you who paid attention in science class, you know that Kelvin is a temperature scale in which zero occurs at absolute zero and each degree equals one kelvin. Water freezes at 273.15 K and boils at 373.15 K. Just thought I would throw that in there to confuse you, obviously that does not help describe the spectrum of a light bulb. Kelvin Rating, or simply K. Without getting too technical, is a numeric scale that describes the color of an object at a given temperature. For aquarium lighting purposes Kelvin rating describes the color, or spectrum, of sunlight in a given environment. 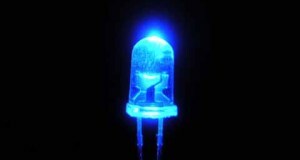 Most aquarium light bulbs will have a Kelvin rating between 5000K-20,000K. For example, the approximate Rating of natural sunlight at sea level is 5500K, this is a very warm white light that includes all the colors of visible light(red,orange,yellow,green,indigo,violet) This is the ideal spectrum of light for shallow water aquarium plants and fish. 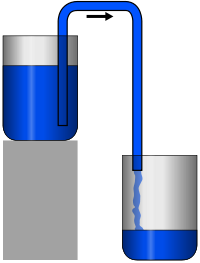 The deeper you go into the water column the higher the Kelvin Rating becomes. 20,000K light bulbs are designed to mimic deep water environments. Red, yellow, and orange light are short wavelengths and get filtered out of the water column very quickly. Blue and green light can pentrate much deeper. The result is that the deeper you get in the ocean the more blue the environment becomes. Animals that live in these deeper water environments have adapted to the light spectrum at these depths. Now all you have to decide on is what you want to put in your aquarium, sorry I can not help you with that one. Here is a general guide for deciding what Kelvin rating bulb you should choose for your aquarium. Daylight spectrum (5000K-10000k) bulbs are ideal for freshwater aquariums with live plants and Saltwater fish aquariums, higher Kelvin bulbs (6700K-20000K) are ideal for saltwater reef aquariums. Hopefully that has shed some light(pun intended)on the different aquarium light bulbs available.